Description: Tomorrow, the Dawn spacecraft will pass close to Mars for a gravity-assist flyby. Gravity assists are one of the most important and under appreciated tools in space exploration. Without them, we wouldn’t have nearly as many spacecraft exploring nearly as many places in the solar system. I’ll try to explain to you what gravity assists are, and why they’re so important. 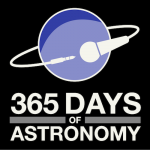 Today’s Sponsor: This episode of “365 Days of Astronomy” is sponsored by Dr. Kevin Marvel, the Executive Officer of the American Astronomical Society in memory of Dr. Thomas Swihart who taught him how to really do astronomy. 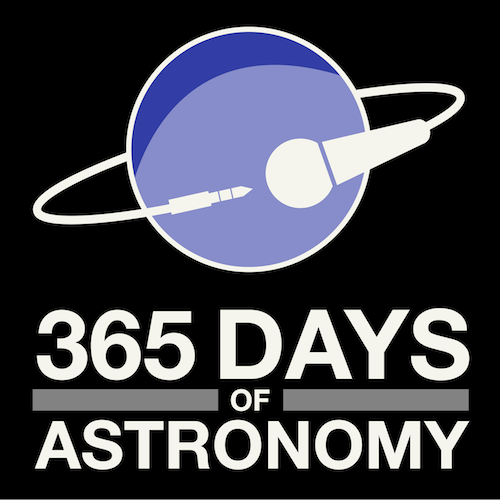 Kevin challenges all of Dr. Swihart’s former students to sponsor one episode of 365 Days of Astronomy in his memory. Flopdiddle bugs forever! Hi, I’m Emily Lakdawalla, from The Planetary Society. Tomorrow, February 17, the Dawn spacecraft will be swinging by Mars in a maneuver referred to by space professionals as a gravity assist. Gravity assists are one of the most important and underappreciated tools in space exploration. Without them, we wouldn’t have nearly as many spacecraft exploring nearly as many places in the solar system. I’ll try to explain to you what gravity assists are, and why they’re so important. First, let’s step back and consider the basics of how we travel from planet to planet in the solar system. Almost everything in the solar system is gravitationally bound to the Sun, endlessly traveling around it in a repeating loop called its orbit. All the planets move in the same direction; if you’re looking down at the solar system from the north, the planets circle counterclockwise. These orbits aren’t perfect circles; they’re all stretched out slightly into an oval shape called an ellipse. One end of the elliptical orbit is located closer to the Sun than the other end. The closest point to the Sun is called the periapsis, and the farthest point from the Sun is called the apoapsis. Let’s consider the problem of getting from Earth to Mars. Mars orbits farther from the Sun than Earth. Every rocket that launches from Earth starts with a nearly circular orbit that’s the same size, shape, and speed as Earth’s. To get a rocket from Earth to anywhere else, we have to change the shape of its orbit to an ellipse that has a periapsis at Earth’s distance from the Sun, and an apoapsis at Mars’ distance from the Sun. So we launch the rocket from Earth, firing forward along Earth’s orbital path, so that its rocket energy adds to the orbital energy it already had from sitting on Earth. The increased energy boosts the rocket to a longer orbit from the Sun. This most basic type of solar system journey is called a Hohmann Transfer orbit, and it’s the way that every Mars mission has traveled to the Red Planet. Hohmann Transfer orbits work to get you to Venus, too, with a slight difference. Venus is closer to the Sun than Earth. So we need to change our rocket’s circular Earth-sized orbit to smaller ellipse. It’s the opposite of what we do to get to Mars; instead of launching the rocket forward along Earth’s orbit we launch it backward, subtracting from its orbital energy. Our rocket still winds up orbiting the Sun in the same direction that Earth and all the planets are going — counterclockwise — but because the rocket counteracted some of its orbital energy, it falls as it circles the Sun, reaching Venus’ orbital distance at periapsis. In theory, you could use a Hohmann Transfer orbit to get you to any of the planets. But the farther away the planet is from Earth, the more different an orbit it has, and the more you need to change the orbital energy of your rocket to get it there. More energy means a bigger rocket, and a bigger rocket means a more expensive mission. Rockets get prohibitively large and expensive very quickly; the farthest we have ever gone with a direct transfer orbit is Jupiter. To get any farther, we need another way to change the orbital energy of our spacecraft. That’s where gravity assists come in. Gravity assists are a way to tap into the massive amount of energy that’s stored in the orbital motion of the planets. The most famous gravity-assist trajectory was the one that was developed for Voyager 2’s famous grand tour of the outer planets Jupiter, Saturn, Uranus, and Neptune. When Voyager 2 launched, the orbit that its rocket gave it was a standard old Hohmann Transfer orbit out to Jupiter. If Jupiter hadn’t been there when Voyager 2 arrived, the spacecraft would have kept going around the Sun on an elliptical orbit with a periapsis at Earth’s distance and an apoapsis at Jupiter’s distance. Of course, Jupiter was there, and Voyager 2 took spectacular photos. Voyager 2’s arrival at Jupiter was carefully timed so that it would pass behind Jupiter in its orbit around the Sun. As the spacecraft started feeling Jupiter’s gravity, it fell toward Jupiter, increasing its speed relative to Jupiter, by a huge amount. Voyager 2 passed on by, because its velocity was greater than Jupiter’s escape velocity. As it climbed away from Jupiter, it slowed down again, as Jupiter’s gravity continued to tug on it. To an observer standing on Jupiter, Voyager 2 seemed to depart Jupiter with the same speed as it had when it came in. But to an observer standing at the center of the solar system, it was a different story. The Jupiter encounter changed Voyager 2’s direction of motion, bending the shape of its trajectory toward the direction that Jupiter was already moving. That added to the energy of Voyager 2’s orbit, meaning that as it sped onward, it was climbing farther from the Sun. The energy came from Jupiter; Voyager 2 actually took some of Jupiter’s orbital angular momentum, slowing the planet in its orbit around the Sun. But Jupiter has so much more energy than a tiny spacecraft that the difference in Jupiter’s orbit is unnoticeable. The point of this gravity assist maneuver was to pump up Voyager 2’s orbit so that it would reach apoapsis at Saturn’s distance from the Sun. And it was precisely timed so that Saturn would be in the right place at the right time for Voyager 2 to meet it, and use Saturn for another boost to get up to Uranus, and so on to Neptune. Over time, space navigators have gotten trickier in stringing more planetary encounters in a row to send spacecraft to destinations that would otherwise be expensive to reach. The Voyager trajectory was still a pretty direct one. Galileo actually traveled to Jupiter via one Venus and two Earth gravity-assist flybys, while Cassini took two Venus, an Earth, and a Jupiter flyby to boost it up to Saturn. Why take such a convoluted path? It has to do with getting more bang for your buck. When launched, Cassini weighed three times as much as one of the Voyagers. Newton tells us that force equals mass times acceleration, so the same rocket put under Cassini would give it only a third as much acceleration as Voyager got. We just couldn’t get such a huge and capable spacecraft to Saturn the same way the Voyagers got there; all those loopy gravity assists were necessary to pump enough energy into Cassini’s orbit to get it out to Saturn and have enough fuel left over to slow down into orbit once it arrived. Gravity assists aren’t just for big spacecraft. Because they let us mine the planets for orbital energy instead of making the energy ourselves with huge rockets, they let us save money on launching spacecraft of any size. That’s one of the main reasons we have so many spacecraft visiting so many places in the solar system right now — it’s not because we’re spending more on space than we used to, it’s because the trickiness of space navigators is letting us spend less money on launches and more on capable spacecraft, and we can send those ships to harder-to-reach places. As of today there’s one on the way to Mercury, one at Venus, three orbiting the Moon, two that just flew by Earth on the way to comets, three orbiting and two roving on Mars, one at Saturn, one on the way to Pluto, and two exiting the solar system entirely, exploring interstellar space. And, of course, there’s Dawn, on the way to orbit Vesta, the second-largest asteroid. Even though Vesta circles the Sun in a position between Mars and Jupiter, an area that should be within the reach of a Hohmann transfer orbit, it’s tough to go into orbit there for several reasons. One is that Vesta’s path is at a seven-degree angle to the orbit of Earth, and it takes a lot of energy to tilt such a big orbit. Tomorrow, Dawn will shoot past the north side of Mars. The gravity assist will not only increase Dawn’s orbital energy, it will also bend Dawn’s orbit significantly out of the plane in which the planets travel, tipping it toward its eventual rendezvous with Vesta. I post regular updates on Dawn and all the other missions I’ve mentioned on The Planetary Society’s website at planetary.org. Please visit to see the latest news and pictures from our robotic emissaries to the planets, comets, moons, and asteroids that fill our astronomical backyard.